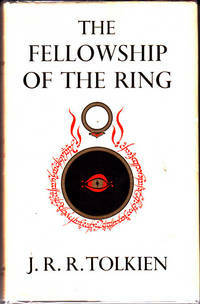 In the days of old in Middle Earth, several Rings were forged. Three were forged for the Elves, seven were forged for the Dwarves, and nine were forged for the Men. However, Sauron, an evil being, created one Ring that could control them all. Several thousand years later, a hobbit named Bilbo found the Ring in his adventures and gave it to his adopted heir, Frodo. When the Black Riders, the bearers of the Rings that Sauron bent to his will, discover that Frodo has the Ring, Frodo flees the Shire, his home, and barely manages to remain alive and arrive in Rivendell, an Elven city. There, it is decided that Frodo, along with several companions, will go to Mordor, an evil land, to destroy the Ring once and for all. This group, named The Fellowship of the Ring, travels through the Mines of Moria, an ancient dwarven civilization, where they encounter great peril and only part of the Fellowship survives the endeavour. They decide to rest in Lothlórien, a beautiful elven forest, before they continue onwards along the Anduin River. However, at this crucial juncture, Frodo decides that the Fellowship must split up for the sake of their quest. The Fellowship of the Ring is well-written, full of diverse characters, and has a well-structured plot. The author uses a varied, albeit old-fashioned vocabulary, and is very detailed in his explanations of the characters’ appearances and actions. He uses dialogue, songs, and poems to convey each character’s thoughts, and his description of their speech as well as his choice of their words shows that character’s personality splendidly. However, the book is rather long and the plot advances incredibly slowly, so I would not recommend this book to any under the age of 13. The book is also somewhat difficult to understand due to the rapid introduction of new characters. It is also flawed because its long, meticulous descriptions of every setting, character, and action can cause the reader to become uninterested or distracted fairly easily. I do not think that there is an old age at which this book would become less interesting, rather I think that this book would become easier and more interesting as the reader ages. If I had the choice to reread this book, I would decline because the plot advances too slowly for my taste. I rate this book six “stars” out of ten. 1. Who overheard Frodo and Gandalf’s discussion? 2. From whom did Bilbo take the Ring? 4. What is the meaning of the two lines of Elven letters written on the Ring? 5. Who was inquiring about Frodo? 6. Why was Goldberry called “my pretty lady” by Tom Bombadil? 7. Who is Fatty Lumpkin? 8. Who left a letter for Frodo at The Prancing Pony? 9. What did Mr. Butterbur call Strider? 10. Where did Frodo find Gandalf? 11. What was the Council’s decision regarding the Ring? 12. Who joined the Company? 13. How did the Company go past the mountains? 14. Where did the Orcs attack them in Moria? 15. To which foe did Gandalf fall?